I don't know of a theological teacher who does a more effective job of teaching about theology in an African American context than Carl Ellis. Here is a video of his teaching at Williams College. This Nooma video by Rob Bell gives a whole new perspective on following Jesus. Jesus actually believes in us! "For centuries, whites have benefited from exclusionary laws and policies, while other groups were barred from citizenship, denied opportunities, and restricted from full participation in American society." Here's a link to a PBS article that traces historical policies that have provided for whites while excluding others. Terrible schools, absent parents, racism, the decline in blue collar jobs and a subculture that glorifies swagger over work have all been cited as causes of the deepening ruin of black youths. In inner cities across the country, more than half of all black men still do not finish high school, said Gary Orfield, an education expert at Harvard and editor of "Dropouts in America" (Harvard Education Press, 2004). By their mid-30's, 30 percent of black men with no more than a high school education have served time in prison, and 60 percent of dropouts have. In response to the worsening situation for young black men, a growing number of programs are placing as much importance on teaching life skills — like parenting, conflict resolution and character building — as they are on teaching job skills. “The operating biblical metaphor regarding worship is sacrifice. We bring ourselves to the altar and let God do to us what God will. We bring ourselves to the eucharistic table, entering into that grand fourfold shape of the liturgy that shapes us: taking, blessing, breaking, giving—the life of Jesus taken and blessed, broken and distributed; and that eucharistic life now shapes our lives as we give ourselves, Christ in us, to be taken, blessed, broken and distributed in lives of witness and service, justice and healing." I appreciated a blog post by Scot McKnight entitled "Scriptures and Scripture: African American" in which he makes the case that social context affects what we look for and find in Scripture. African Americans read Scripture in a context of oppression and suffering and therefore have found in Scripture God's identification with the oppressed and the acts of God to bring justice in this world. Yesterday's broadcast of ABC's World News Sunday referenced Rev. Jerry Falwell's September 22 attack on Sen. Hillary Rodham Clinton (D-NY) comparing the senator to "Lucifer". Falwell said later it was "tongue in cheek", but I think this is the kind of hateful talk that fuels the fire of animosity toward Christians and certainly does not attract people to the faith. Here's a link to a brief interview with Timothy Keller on the Christian calling to be salt and light in culture. Here's another link to an article by Keller entitled The Biblical Mandate for Mercy Ministries. I wrote this as a comment on the "White Privilege" post on Thursday night, but thought I would highligh it again. Thursday night channel 5 news featured the story of a white kid from the suburbs who drove to the westside of Chicago and got some heroin laced with fentanyl and died. He was a Maine South student and his father was Jack Krecker, deputy police chief of the Franklin Park police. While I feel the pain of the Krecker family I couldn't help but think of Curtis and the 70 others who have died from this deadly heroin whose stories aren't told on the 10 o'clock news. They have families too, but they are the invisible Americans. “Blest too. Did you make it to Curtis’ funeral?” she asks. I need the sticky kind because it’s the only thing that will catch the one inch babies that have invaded my apartment again. I cross Lake Street and enter the park. A group of men have set up a card table to play cards and drink beer. I nod. They nod back. “What kinda dog is that?” One of them asks. I’ll get asked that three more times before I make it around the lagoon. “He’s a Papillion”, I say. The park drive is always lined with cars, usually with people sitting in them talking or listening to music. One of them is selling bags of peanuts out of his car. Another has lined the hood, roof and trunk of his car with nice looking sneakers still new in their boxes. He is strategically parked next to the basketball courts that are always busy with men in hot hoop competition. Charlie does his thing and I pick it up with a baggie even though his little poops are smaller than the geese poop I have to dodge constantly. Speaking of geese I decide to count them and get to 100 when I give up. One of them has a lame leg and limps slowly behind the others. He can still fly though. I decide I’m a lot like that goose. I may limp, but I can still fly. I wonder how the geese butts stay so white even though the lagoon is covered with a green sludge. 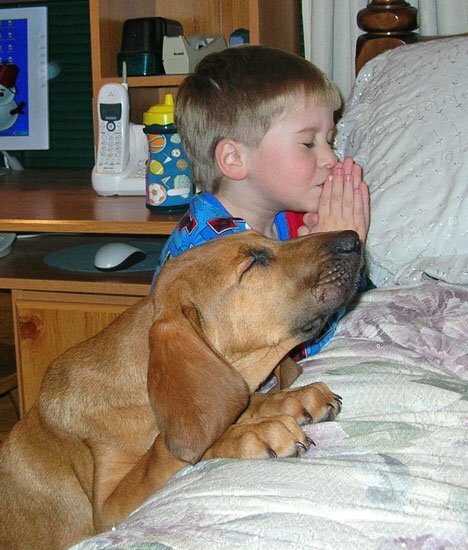 I guess God put some kind of thing on their butts that repels dirt and grime. I dunno. I round the back end of the lagoon near Hamlin and notice a man standing in a concrete bunker. I wonder what he’s doing in there. As I clear the trees I get near him and say, “How you doin’”? “I’ve had a really bad day”, he says. “My fiancé broke up with me and we have a little girl. I’m just really upset about it. I need a job real bad too, but I have a record. People don’t realize how hard it is to get a job if you have a felony”. “Yea, I know”, I say, “no one will hire you or rent to you and you can’t even get into public housing. “Yea, that’s right. It’s terrible. You can’t do nothin’”. “I can see the needles right there.” I point to them. He looks ashamed. “I know. I just do it once a week. I know its bad”. “It will kill you”, I say, “a friend of mine died last week from bad dope he got in this park”. “Yea, I heard”, he says, “a friend of mine died too. I know, I gotta quit”. “What you gonna do, rob me”? He jokes. “Me and my killer dog,” I say. They laugh. Charlie weighs about 10 pounds. I walk on and notice two people sitting on a bench. One of them is a woman from our shelter. I stop to talk. “How you doin’”? “Great!” she says and gives me a big exaggerated grin. “Oh wow”, I say, “you got your teeth today”. I remember seeing the dental van at the Breakthrough Joshua Center. “Just the uppers?” I ask. “No, both uppers and lowers”. “They look great,” I say. She smiles broadly, “I know,” she says. Then she goes on to tell me a story about how she’s been going to court because she was stabbed in the neck by someone who had been in for murder and was released on a technicality. The police are grateful that she is pressing charges cuz this guy is dangerous and needs to be behind bars. I’m not sure whether or not to believe her because I know she makes things up, but it’s an interesting story. I express my amazement and affirm that she is doing the right thing, say hi to her guy friend, whom I had met before, tell them to have a great night and walk on. I cross Lake Street again and head back up St. Louis Avenue. Two little boys ask if Charlie bites. I say no. “Can I rub him?” One of them asks. I nod a yes and turn my attention to an elderly man hoeing his garden. “Since I see you and we say ‘hi’ everyday I really should learn your name,” I say. “It’s Al,” he says, “but everyone calls me Melvin”. “I guess Melvin cuz that’s what everybody calls me”. “I’m Arloa,” I say and explain that it is the feminine form of Arlo, like Arlo Guthrie, the folk singer who recorded “City of New Orleans”. He gets it right away. “I’ve lived here 40 years,” he says. Oh, so you were here after King was assassinated and the neighborhood burned,” I say. “Oh, yea. It was bad. I stayed to watch over my aunt. She’s passed now”. He says the owner of his building is thinking about selling. He needs to find a place to go. I remember Yolanda, our Women’s Services Director, questioning where her people are going to go as the whites start to move in. I tell him about the seniors building on Drake, that it’s been renovated and is pretty nice. He says he’ll check it out. I turn onto Fulton and head for home. Punkin and I discuss the mice situation outside my front door. She says she hears them in the walls. So my mission now is to find those sticky mouse traps. I’ve been to Walgreens and Dominicks… guess I’ll try Home Depot. Marlone Finley from my Tuesday night BUILD group sent me this link today to an article about a survey that indicates that 60% of whites understand that being white brings them special privileges. What is concerning to me is that means 40% believe that institutions are color-blind and don't contribute to those privileges. Anita Lustrea interviewed me and other Breakthrough staff on Midday Connection today. You can listen to the show at this link. Curtis was one of the first people I met when I moved here. He was walking his dog early one January morning and we talked. I kept running into him and he would encourage me to get out more with my dog Charlie. He especially appreciated the groceries he received from our food pantry. Later this summer when I saw him mowing the lawn in front of our house I asked him to mow the grass in front of our building on St. Louis Avenue. He was eager to help and always asked if we had more work for him to do. I told him to hold on, that soon the Breakthrough Ministry Center would be up and running and we would have an employment center there to help him get a good job. He was very excited about that and asked me about it everytime we met. Over the weekend he was given bad heroin and I learned today that he died. When I asked my neighbors about his funeral they told me another man we knew as Santa Claus because of his full white beard passed away today. He was living in the boarded up building three doors down from me and died from a gas leak in the building. These are the men Breakthrough is here to serve. We really need to get our building renovated so guys like Curtis and Santa Claus will have opportunities before it is too late. This is the kind of prayer we need! There I said it. I wasn't sure where I stood until I heard Bishop Brazier say our people need jobs, starter jobs, any job. Yes the minimum wage needs to be raised, but across the board, not just in Walmart and Target stores in the city. I am a strong advocate of raising the minimum wage. But to keep the big box stores out of the city is not the answer. It's not enough. I know it is a difficult question. Do the big box stores drive out other businesses? Probably. 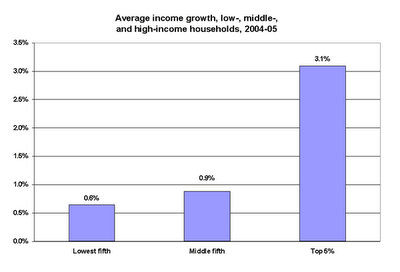 But to be able to buy goods at lower prices is an advantage that suburbanites have that we don't. Our kids need those starter jobs so they can move on to better employment. Sojourners and all of the social advocates I know have been supporting the aldermanic ordinance that would require the big box stores to pay a higher wage, therefore causing them to stop development in the city. What do you think? 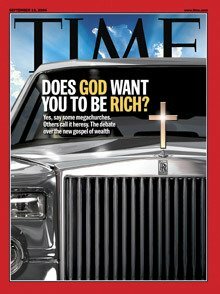 This idea that God wants everybody to be wealthy? … There is a word for that: baloney. It’s creating a false idol. You don’t measure your self-worth by your net worth. I can show you millions of faithful followers of Christ who live in poverty. Why isn’t everyone in the church a millionaire? I tried to give Tom a bottled water the other day and he refused it saying he took issue with bottled water. I was puzzled by that. Surely, bottled water tastes better than tap water. It's been put through all of that filtering and testing and must be better for us. Today the Tribune ran an article about bottled water and guess what, Tom's right. It turns out "across the board, people can't tell the difference. Over 1,000 people have taken the test in more than a dozen cities, and the overwhelming sentiment from them is that they have been duped. The dirty secret about clean water is that regulation of bottled water is weaker than regulation of tap water. And a quarter or more of all bottle-water brands obtain their water from the same place you do--municipal water systems. These include such leading brands as Coca-Cola's Dasani and Pepsi's Aquafina." And since bottled water does not contain fluoride like most tap water does, it can actually contribute to tooth decay!! The difference is, bottled water can cost up to $10 per gallon instead of the 50 cents per gallon that tap water costs! I'm convinced. I still think Chicago water has a bit of a bleach odor, so I think I will run it through my Brita pitcher and fill up my water bottles with tap water. Certainly I can put the money to better use than supporting Coca-Cola and other mega corporations. Here is a link to a CNN article about the digital divide. This affects homework, term papers, research capability, access to employment and I'm sure lots of other things. It highlights the value of our computer lab at the Breakthrough Joshua Center. A total of 54 percent of white students use the Internet at home, compared with 26 percent of Hispanic and 27 percent of black youngsters. I read this quote on one of my favorite blogs, Allan Greig's "...a personal revolution". 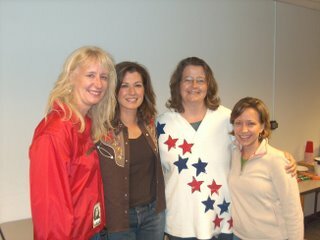 I went to Ravinia with my friend Tom to hear Amy Grant last Thursday night and ran into lots of friends. Here are Nancy, Penny and Helen with Amy. The effects of racism on the identity of Black children is devastating and deeply psychological. This 7 minute video entitled "A Girl Like Me" shows young girls describing the struggle. The federal minimum wage is $5.15 an hour. 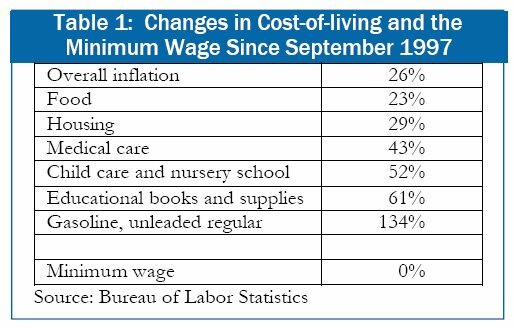 During the past nine years, while the minimum wage has remained the same, members of Congress have voted to give themselves pay raises -- technically "cost of living increases" -- totaling $31,600, or more than $15 an hour for a 40-hour week, 52 weeks a year. While the minimum wage has remained stagnant since 1997, Congress has enacted legislation that has reduced estate tax burdens in eight of the past nine years. The minimum wage bill that passed the House but was rejected by the Senate last month, would have benefited 5.6 million workers, while the estate tax reduction primarily benefits 8,200 very wealthy estates. Have your seen the Treadmill Dancers? I like how the guy in the red pants starts the music with the remote control! Trevor Romain's blog is a beautiful collage of art, photography and prose--wonderful stories. I especially like his Augsut 21st post about the Nee Nee Man.